B3LLA was borne when Mimi was diagnosed and coping with breast cancer. The transformational power of music and the opportunities to share that magic with audiences everywhere enabled Mimi and B3LLA to evolve and grow into the beautiful beings they are today. After a career in medicine, Mimi sought solace and meaning in her lifelong passion - chamber music. Since its inception, B3LLA has earned international recognition as a professional ensemble at the highest level. 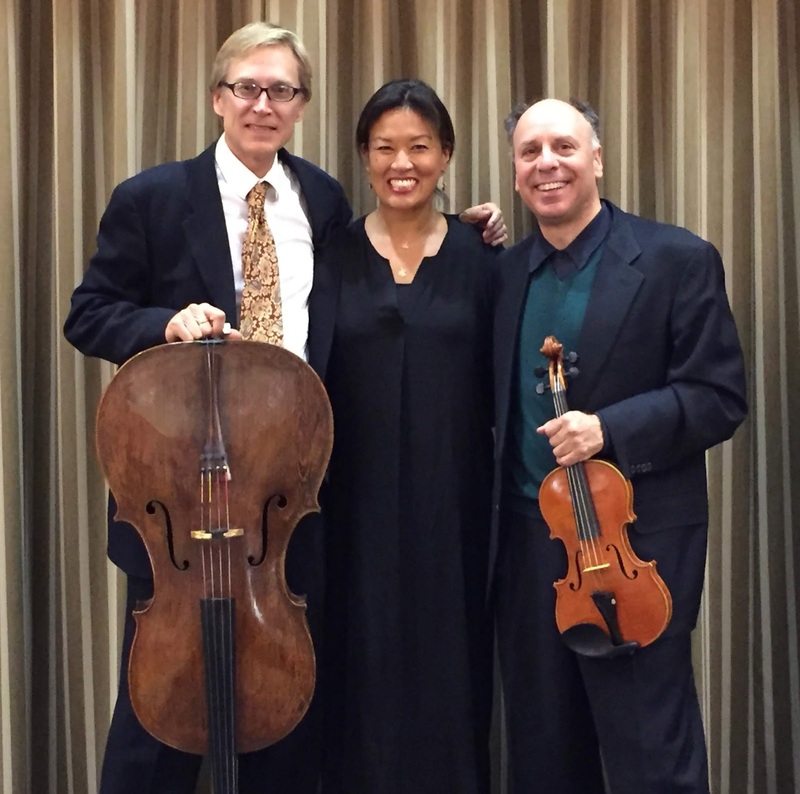 In only its second year, B3LLA was showcased at the annual National Chamber Music America Conference and were Semi-Finalists in the Concert Artists Guild Competition. They have also been Resident Artists at the elite Banff Center for the Arts Chamber Music Program and one of the first Resident Ensembles for the SF Friends of Chamber Music, their fiscal sponsors. In 2014-2015, they represented the SFFCM at the Inaugural Presidio Sessions Concert Series in their hometown of San Francisco.B3LLA boasts internationally acclaimed string players, Fred Lifsitz and Eric Gaenslen. Fred has celebrated almost 30 years as the second violinist of the renown Alexander String Quartet, which serves as Ensemble-in-Residence at SF State University. Eric has served as Principal Cellist of the Seattle Symphony, and has toured around the world as an integral member of the acclaimed Rossini Quartet. Together, Mimi, Fred and Eric share a particular passion for their art and the wonderful masterpieces written for the piano trio. Their camaraderie, trust and respect for each other as people, artists and members of a collective voice have moved listeners from all walks of life. They have stories to tell, through the beautiful works of humanity written by the composers they love.